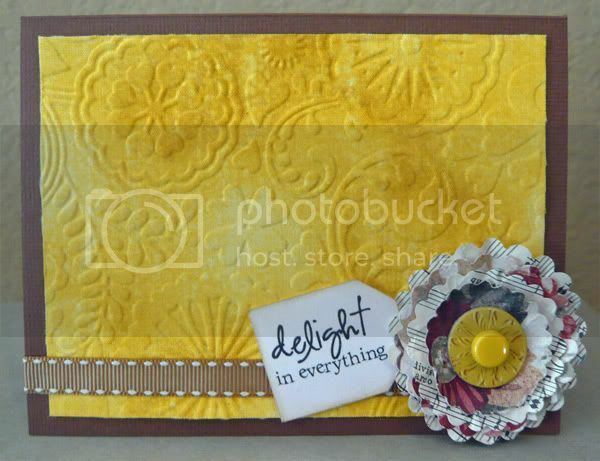 We have already used mulberry paper, metal, foil, chipboard, and grungeboard in our embossing folders. Today, let's try some fabric! Check out this and other tutorials using your cuttlebug products in the "Chatter about Cuttlebug" section of the Cropstop's Forum!